During the coldest winter days Marinoni suggests a selection of objects, which warm up the atmosphere at home and let you share unforgettable moments. 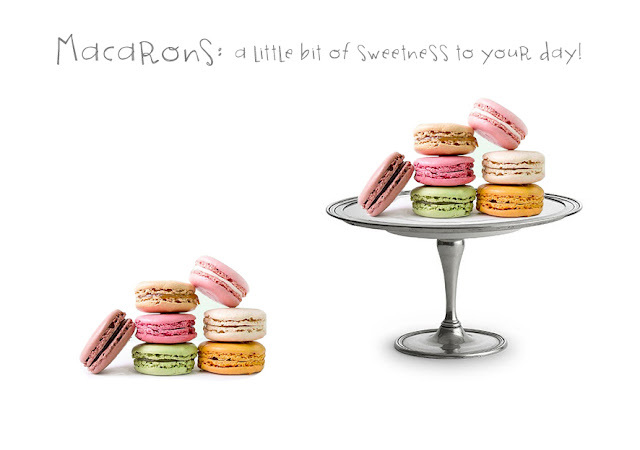 The Marinoni items which we have chosen for you are available at a special price, valid until 31 January. 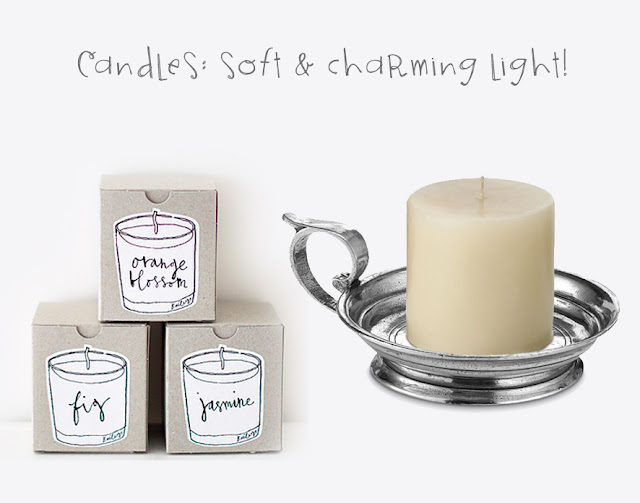 Our first hint is to create a soft and charming light with the Marinoni pewter candleholder. You can find the candles featured in this pic at Neëst. A coffee is always a good idea. 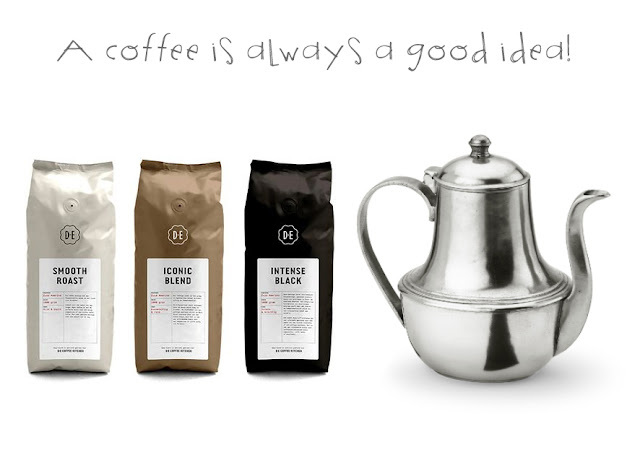 And it’s even better when served in our coffee pot, because pewter is a unique material and it gracefully warms up the atmosphere. 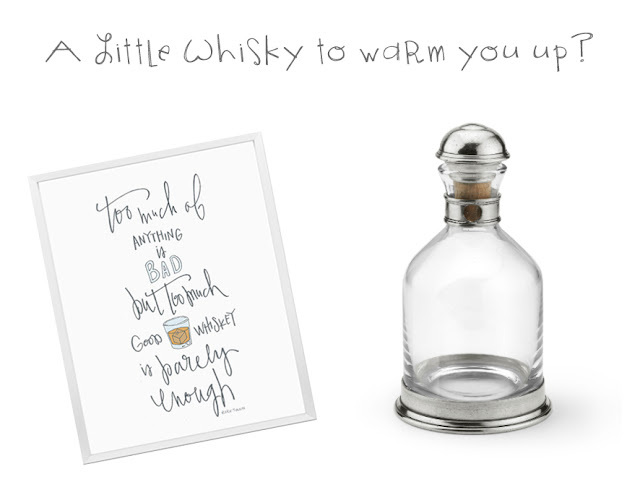 Warm you up with a little whiskey after dinner. 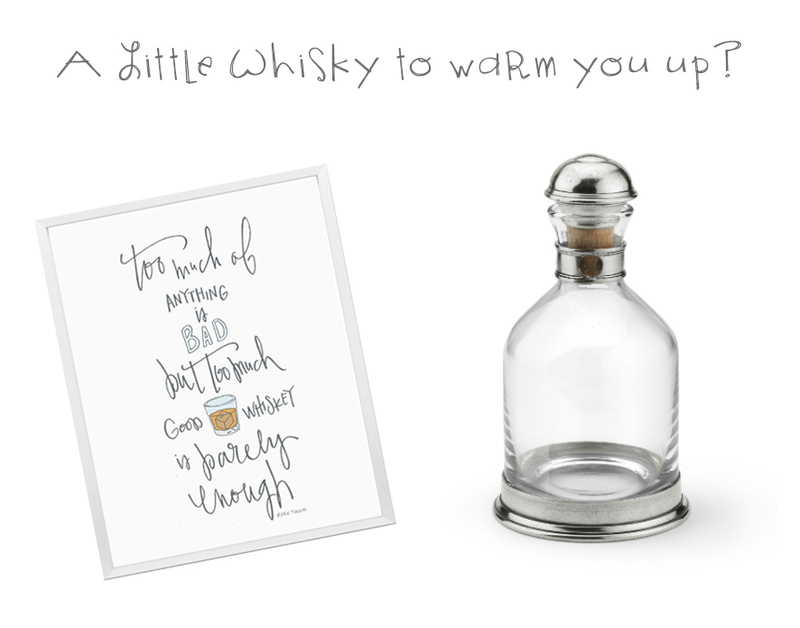 We recommend you offer it to your friends in the Marinoni pewter and glass whisky bottle. 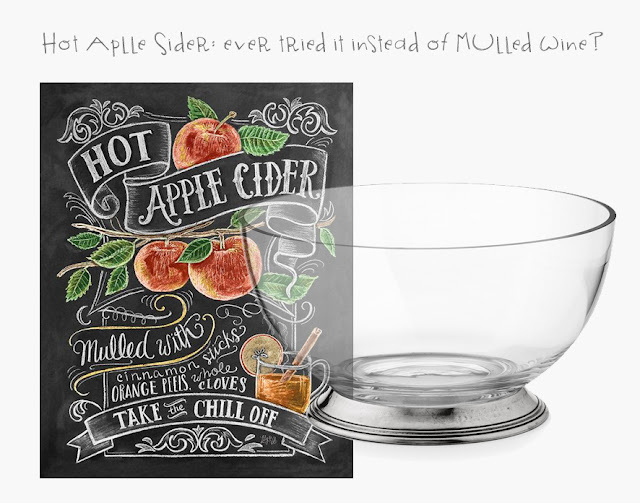 If you don’t drink any alcohol and you are with your friends or relatives, the hot apple cider is the perfect choice for the whole family (Hot Apple Cider image by Etsy). 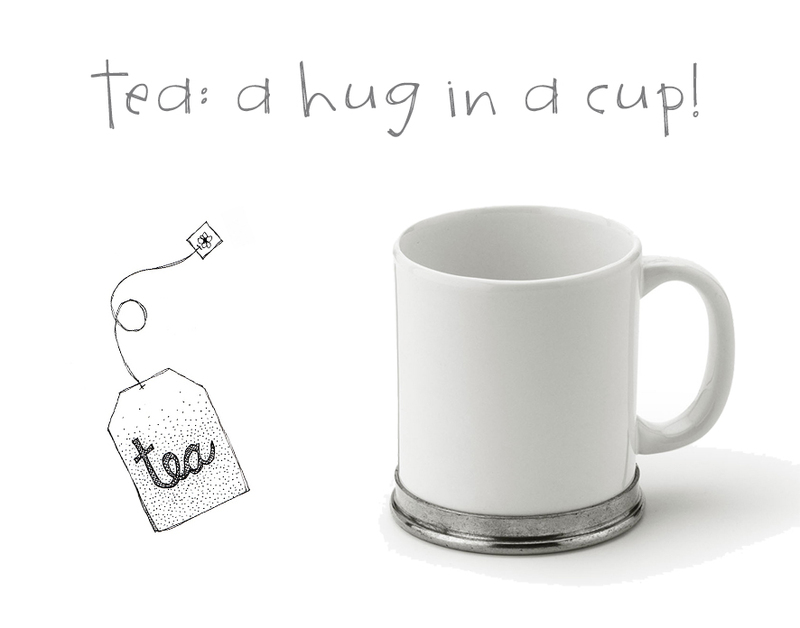 Why don’t you serve it in the Marinoni pewter and glass bowl? 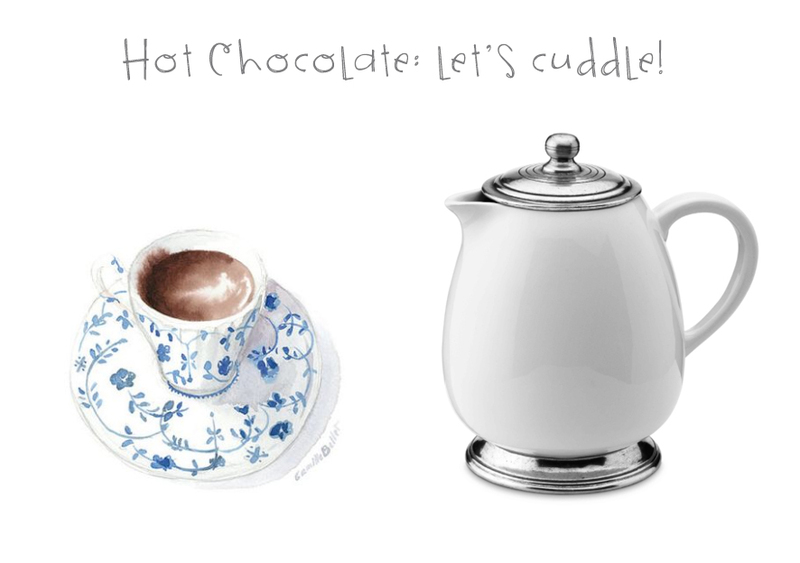 We’re sure, many of you will like this idea: let’s cuddle with a hot chocolate! And with Marinoni winter offers. Add a little bit of sweetness to your day: Macarons on the Marinoni pewter & ceramic footed dish. 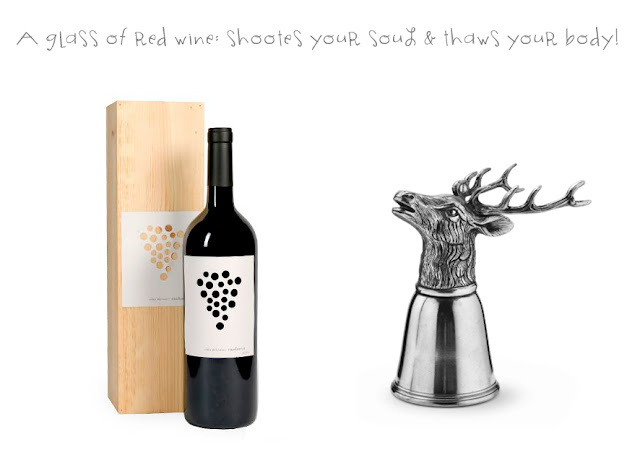 And lastly, a glass of red wine will sooth your soul and thaw your body.